yeap--its a kool cell but its 2me price is littlebet high 70$ allright for affort. so perfect. althought without 3G & HSDPA. Hey guys. i think this phone is very good. from design until specification and low price with high qulity. so... get buy it now. Hi everybody in this room! BQ T60 is the phone that designed very well: slim, modern, large display and the price is very good with $85 in Shanghai. Mary, 25 Jun 2008Don't make comments much more because the selling price in China is US$100 with memory card 2G... moreWhen you look at disign and features of BenQ T60, you can pay US$120 to have one. but you shouldn't look at face of anything to evaluate it. When you have it in your hand, you will be regreful to pay too high price. In my opinion, BenQ T60 is only US$90. Jenny, 25 Jun 2008I think price of 196$ is too high. If I pay 110$ for one model of mobile phone, I can have mod... moreDon't make comments much more because the selling price in China is US$100 with memory card 2GB. 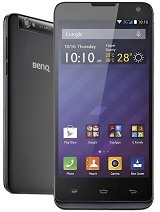 If you want to own one of Benq T60, contact with distributors of Benq Coporation. robin, 10 Jun 2008Superb design! Here in Indonesia, T60 selling price are 196$, value for money i think if we lo... moreI think price of 196$ is too high. If I pay 110$ for one model of mobile phone, I can have models of Nokia which contain more beautiful and smart disign and features than Benq T60. I think selling price of T60 is 90-100$. It is true!! With all of the disign and features of BenQ T60, I think selling price of T60 is only US$90. This value is right because its keypad is very hard and the users have difficultty in writing massager. This is a very cool cell phone.i am using this phone.it has excellent picture quality. Superb design! Here in Indonesia, T60 selling price are 196$, value for money i think if we looking at the design and features. All that i need.. I'm nokia 6300 user now and planning to buy T60. Any suggest ? Those of you who are looking for 3G for $142, you gotta be kidding me. 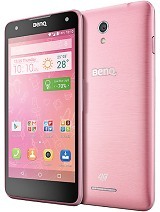 This fone is hot man, has all the necessities at a bargain price. The only thing to be concerned about is whether the software has too many bugs? But no Edge, no 3G. Price in Bangladesh is Tk 10490/= (US$ 150) in May 2008.